How To: Make Your First Affiliate Sale Online! Last updated on November 7, 2018 By Nat 6 Comments This post may contain affiliate links. We appreciate you supporting Rags To Niches! Full disclosure here. 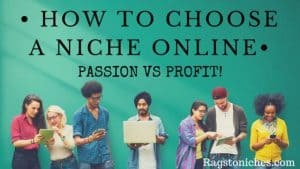 How To Choose A Niche Online – Passion Vs Profit! Last updated on December 28, 2018 By Nat 12 Comments This post may contain affiliate links. We appreciate you supporting Rags To Niches! Full disclosure here. 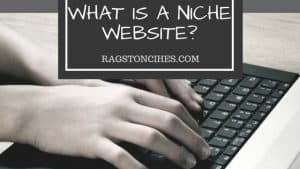 What Is A Niche Website? Info You Should Know! Last updated on November 28, 2018 By Nat 2 Comments This post may contain affiliate links. We appreciate you supporting Rags To Niches! Full disclosure here.